Updated 6:00AM, Wednesday May 2nd, 2012	by Sam Hailes, Christian.co.uk Be the first to comment! 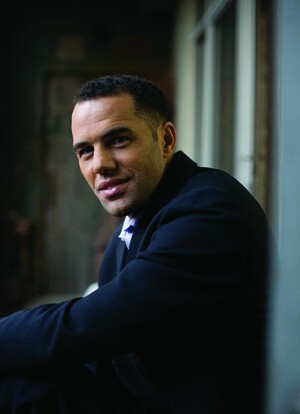 Steve Pemberton has a fascinating, tragic and inspirational story to tell. Suffering terrible abuse while in foster care for all of his childhood, Steve didn't have a chance in the world. But a series of unlikely yet life changing circumstances gave Steve a belief in both God and himself. It was Steve's first ever memory. The image would reoccur throughout Steve’s childhood, though he didn’t know why. One day he discovered the truth and learned that memory came from the day he was taken from his mother. “I never saw her again”, he says. The next 15 years saw Steve being moved from foster home to foster home, eventually settling with the Robinson family. Having won awards for their work in bringing up 39 children over a number of years, the family had an excellent reputation. Steve received frequent beatings, which led to multiple hospitalizations. For over a decade he remained at the house as social services failed to see past what Steve describes as a “veneer and façade” of a family that appeared loving and caring. “Even all these years later as a 40-something year old man, I’m simply not able to fully understand the background of this foster family,” Steve says. “They were very shrewd and manipulative people,” Steve recalls, explaining he was subject to multiple and “terrible” rules of the home including not being allowed to make eye contact with adults. Continually mis-treated, Steve also suffered from malnutrician. At the age of 10 and trapped in a cycle of abuse, Steve realized his parents weren’t going to come and look for him. It was at this point that Steve believes he entered adulthood. A major turning point came during unlikely circumstances. Owning only one book, Steve would sit outside his house reading it over and over again. One day a lady named Mrs Levin noticed this and donated a box of books to Steve. Seeing moving to Boston College as his escape route, Steve did everything he could to leave the Robinsons behind, but at every point he was blocked. Steve began to believe he could pay the ultimate price for an escape attempt. “That quiet voice we all have within us said: ‘You know if you do this you’re probably not going to survive’." After a series of lengthy negotiations with social services 15 year old Steve was looking forward to his “freedom date”. After several failed attempts to leave Steve was anxious to check that this time, everything would go ahead as planned and phoned social services to check the arrangements. These final four words should mark the end of Steve’s ordeal. But while the end was in sight, it had not been fully reached. “I had no place to go”, Steve recalls, telling the story of a social worker phoning down a long list of names but struggling to find anyone willing to take in an African American teenager a few days after Christmas. Married with three children, Steve is today the vice president and chief diversity officer of the largest drug retailing chain in the US: Walgreens. As well as holding an executive position in the 111 year old company and having the chance to raise his own family, Steve has managed to find out more about his own mother and father. 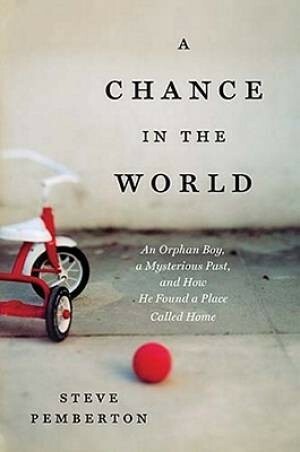 The full details of Steve’s story from being an orphan boy with a hidden past to finding a place called home is detailed in his new book A Chance in the World. Today, explaining how there were “gaps in the system” that cost him his childhood, Steve is passionate about addressing these problems in the foster care system. He's surprisingly calm about the family that mis-treated him so badly. More interested in future change than past retribution, Steve says he’s left them in God’s hands. Explaining more about the book title, Steve reveals the full phrase “he doesn’t have a chance in the world” was the prediction made of him. “The circumstances I was born into were so dire that I didn’t have a chance in the world."